We have selected 6 of the finest wines from around the world. 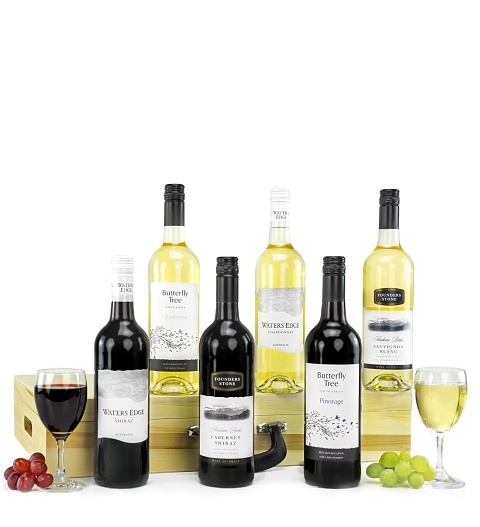 A combination of reds and whites from Australia, South Africa, and Chile will delight any wine lover. All beautifully presented in a wooden suitcase, this is a wonderful and thoughtful gift for wine enthusiasts...or just those who love wine!